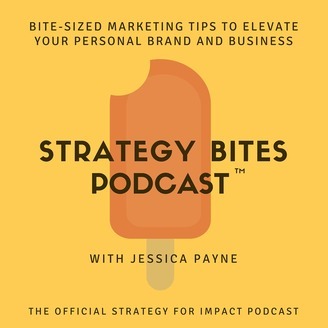 The Strategy Bites Podcast™ serves bite-sized marketing, brand and digital strategy tips in less time than it takes to boil a pot of water. 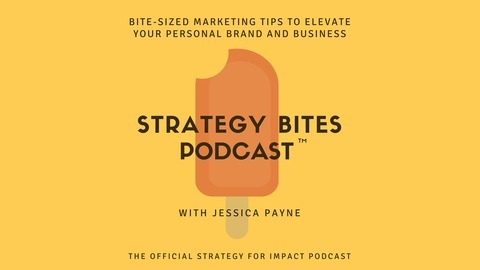 Host Jessica Payne combines fresh data, insights and a call-to-action in each episode to push YOU to elevate your brand or business. Ideal for: Anybody who agrees great business strategy and personal growth can come from addressing bold questions in a matter of minutes. For more information, and to connect with Jessica Payne, visit www.strategyforimpact.com.